Printable Clear Sticker Paper from Silhouette contains 8 sheets of 8.5 x 11" paper. 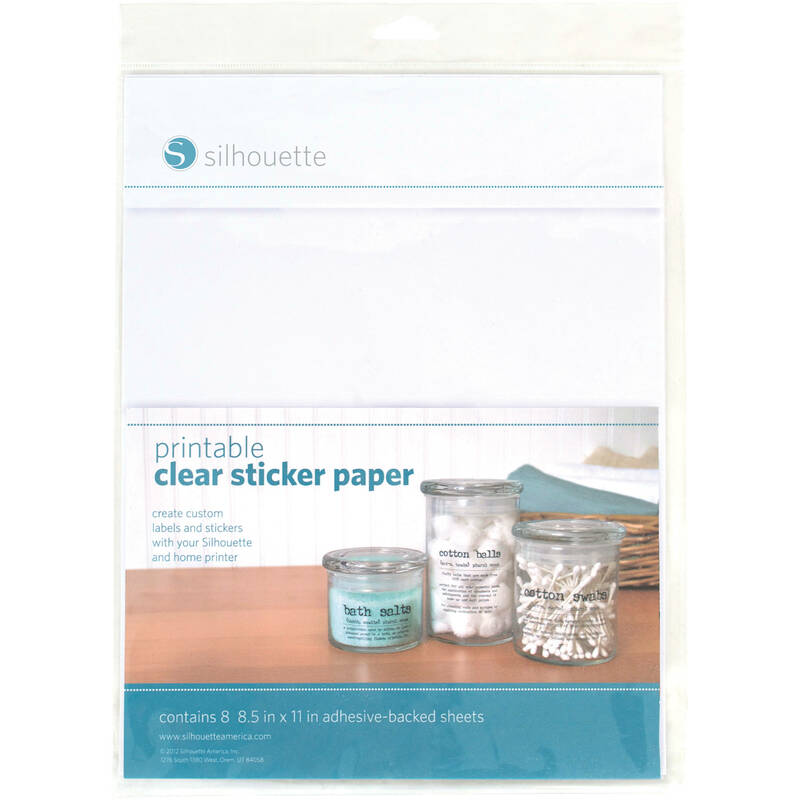 This printable clear sticker paper is designed for use with the Silhouette print & cut feature to make custom stickers and labels from your favorite photos and designs. Box Dimensions (LxWxH) 11.4 x 8.8 x 0.2"
Printable Clear Sticker Paper (8.5 x 11", 8 Sheets) is rated 3.5 out of 5 by 2. Rated 3 out of 5 by Nancy from OK I thought they would be more transparent, they seem kind of cloudy. Shipping was EXTREMELY slow until I phoned then got them within about 3 days. Rated 4 out of 5 by Kevin from Great for card making or other projects Use for organizing labels or for card creations.